Red is the hero of this story. After receiving a Hitokage from Orchid-Hakase, Red sets out on a journey to complete the Pokemon Zukan. 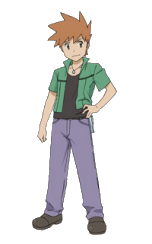 Green is both Red's childhood friend and Orchid-Hakase's grandson. 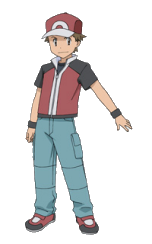 Green, like Red, was asked by Orchid-Hakase to go on a journey to help him complete the Pokemon Zukan. Orchid-Hakase is a well-known pokemon researcher. He gives Red and Green their first pokemon and a Pokemon Zukan. 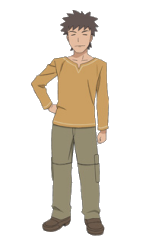 Takeshi is the Nibi City Gym Leader. He uses Rock-Type pokemon. Wataru is a member of the Four Heavenly Emperors in the Kanto region. He uses Dragon-Type pokemon. 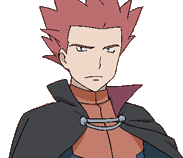 Sakaki is the leader of the Rocket-Dan, an evil organization dedicated to capturing pokemon. He uses a lot of Ground-Type pokemon. 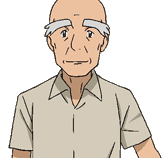 Old Man Fuji is an old man who works in the Pokemon House in Shion Town, a facility that takes in pokemon that have been abandoned or thrown away. The Rocket-Dan take over Pokemon Tower, a place where the spirits of deceased pokemon reside, so Old Man Fuji ventures into the tower by himself to drive the evil organization away. He ends up getting captured but is eventually rescued by Red, so he gives him a "Lizardonite X" Mega Stone to show his thanks. 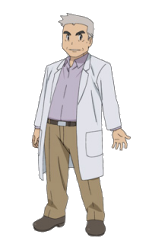 It is later revealed that Old Man Fuji and Fuji-Hakase, the man who created Myuutwo, may in fact be the same person. 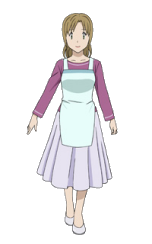 Reina a young girl who works inside Pokemon House. She tells Red all about the Pokemon Tower and how the Rocket-Dan have infiltrated the building.